Slovakia-based architectural studio Nice Architects has designed a sleek, small capsule fitted with all the essentials someone would need to go off the grid. The Ecocapsule's shape is spherical for optimal collection of rainwater and dew, which a built-in water filtration system then allows for use in the kitchen or bathroom areas of the pod. The pod is completely self-sufficient, with installed solar power output of 600W and wind power output of 750W. 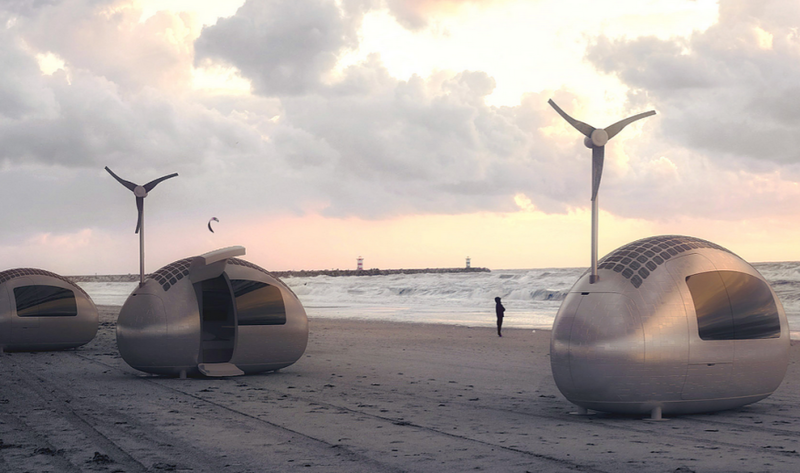 According to Nice Architects, in the case of reduced solar or wind activity, a dual power system and a high-capacity battery ensures that the pod will have enough power. 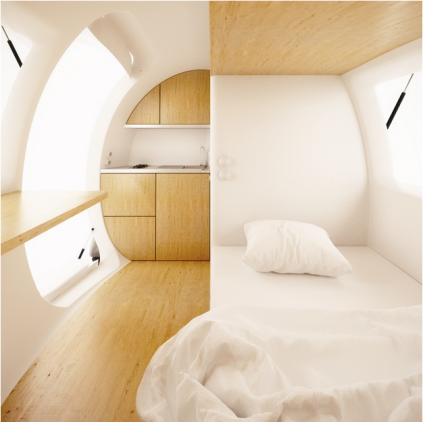 Even though small in size, each Ecocapsule comfortably houses two adults. Its efficient spatial layout allows you to enjoy convenience of household facilities in off-grid conditions. Built-in kitchenette with running water, toilet and hot shower are luxuries of a hotel room that are now also available in wilderness. As of right now, the Ecocapsule is not yet in production--only functional prototypes have been produced. In the last quarter of 2015, Nice Architects will announce price breakdowns, and start accepting pre-orders.